Beginners watercolor painting class with Patty Kilson. 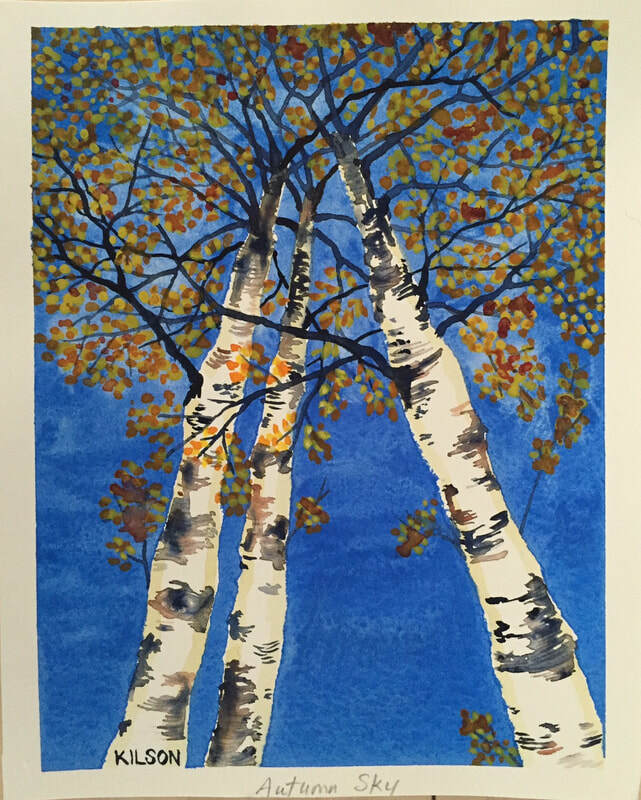 This month will be painting a piece called "Autumn Birch”. This class will include a lunch break, the price of lunch included in your ticket price. This class will include a lunch break, the price of lunch included in your ticket price. All painting supplies included and lunch. No experience necessary! Often referred to as "Yoga for the brain", Zentangle is a unique drawing method where anyone can make seemingly complicated patterns. In this class you will create three different designs. Come join the fun and discover the benefits of Zentangle! What to bring: all materials provided. JEAN-O-LOGY: 1. The study of repurposing mankind's favorite leg wear. The following Tuesdays are all devoted to sewing - you will have plenty of chances to make all kinds of fun projects; you either bring your own or come learn with us. I'll be here every Tuesday from 5:30-8:30 for all your sewing needs. Bring your own small piece to paint [or a couple drawers of a large piece] - we will be mixing paints to create beautiful colors and get the look you want. Bring a piece you can carry in and up the stairs: a side table, Frame or mirror, nightstand, etc. re:NEW Workshops are monthly classes that focus on refreshing and renewing common household items. Each class will be a different project, so you can learn simple techniques that you can use to repurpose items in your own home! January's re:NEW Workshop will be refreshing an old style chair with a covered seat. In this class, you will choose from one of two paint colors to paint the chair, Antique White or Driftwood Gray by General Finishes. Then you will chose from multiple fabric patterns to recover the seat. We will finish the chair with a Top Coat by General Finishes. What to bring: all materials provided (chair, fabric, paint, painting supplies).